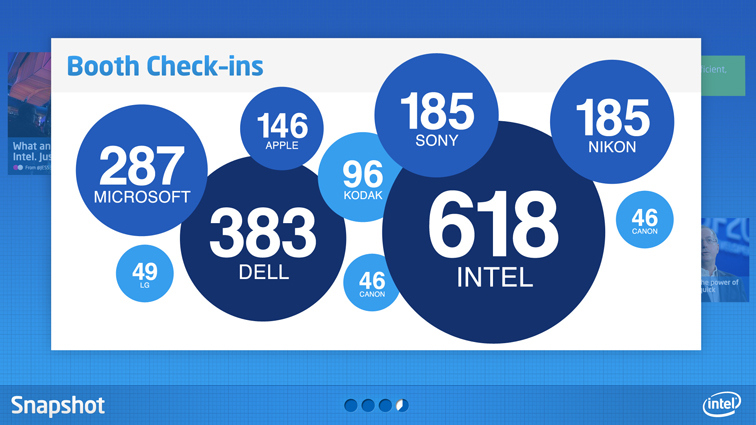 Intel, the world's largest semiconductor chip maker, is also a leader in another technology-related field: social media adoption, engagement and activation on a company-wide level. 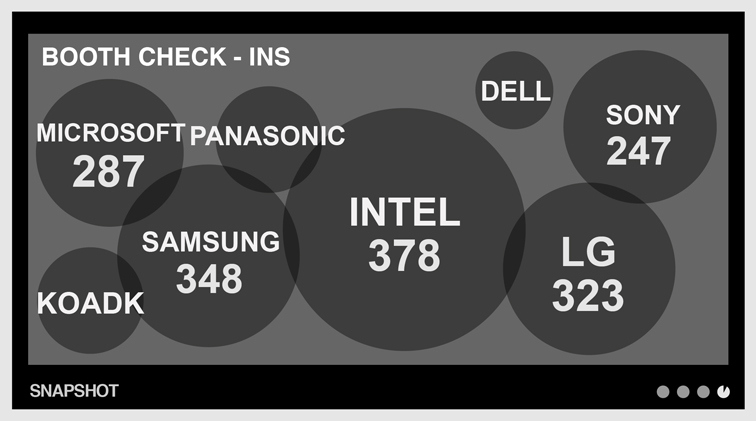 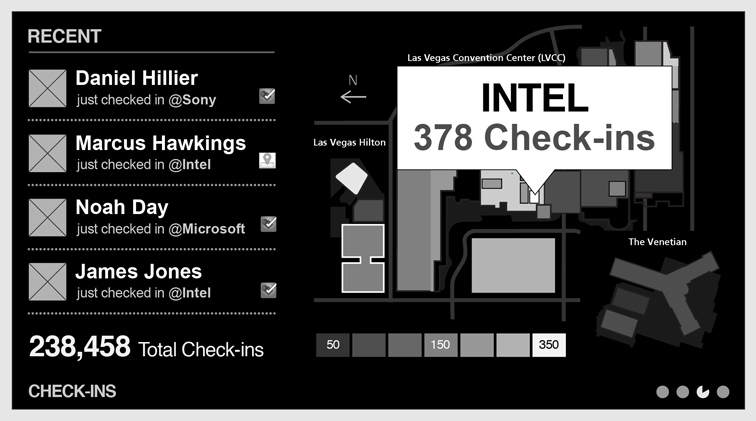 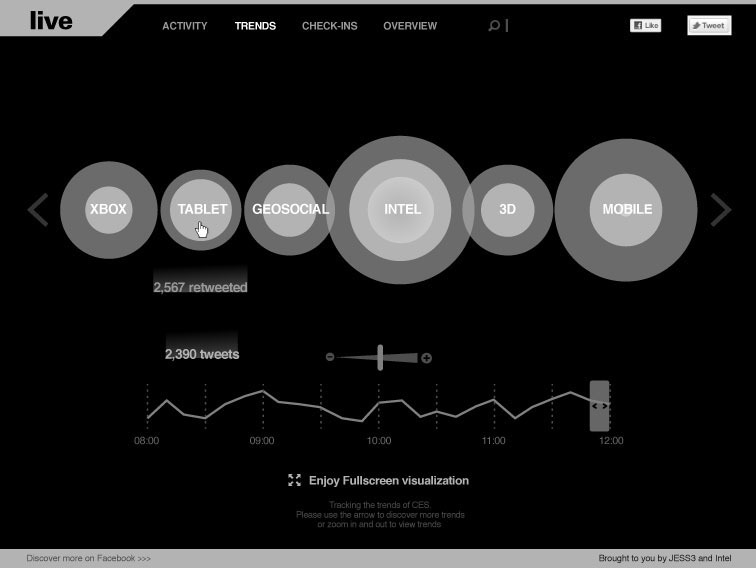 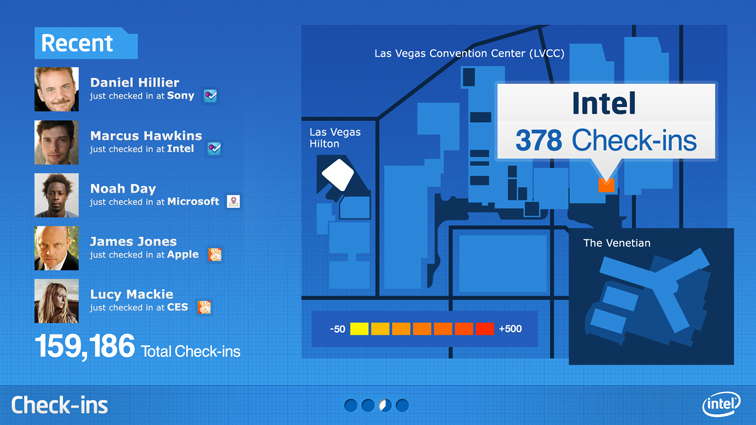 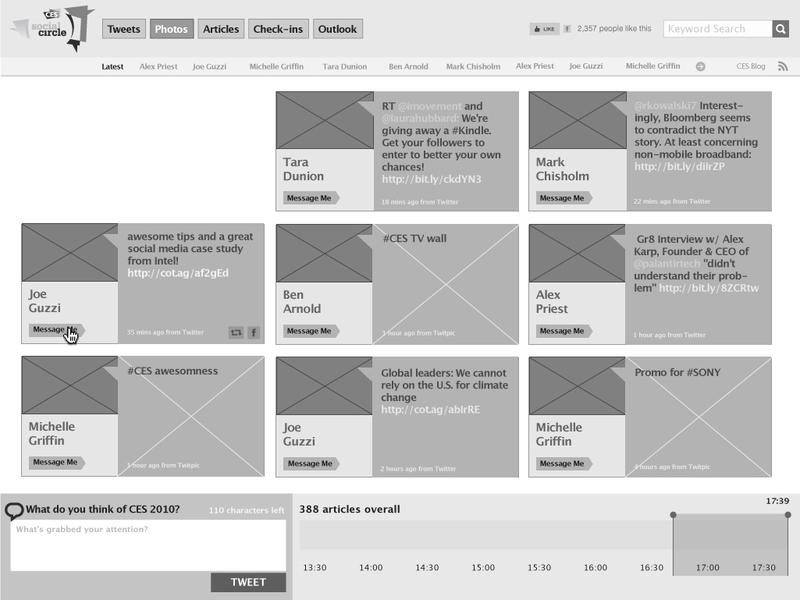 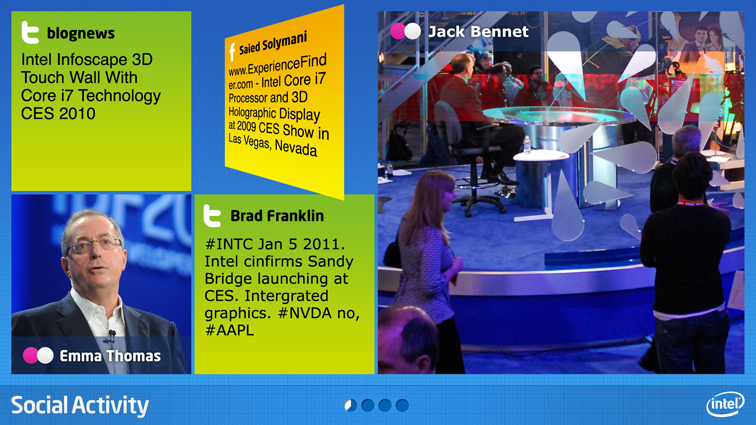 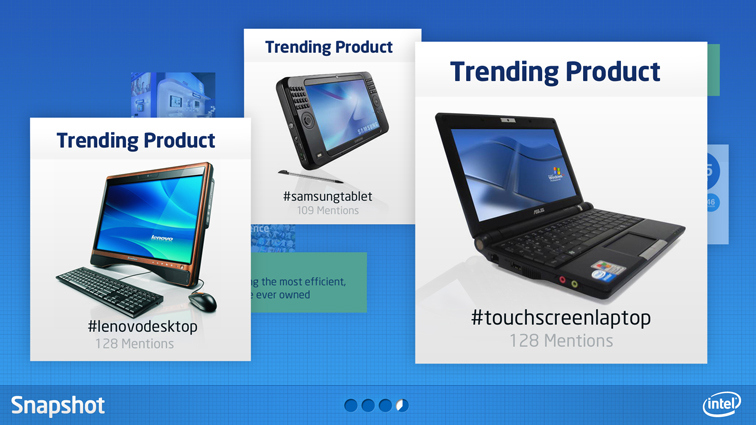 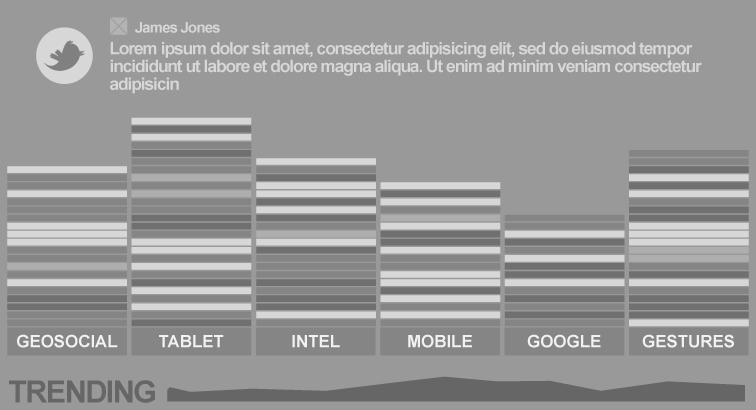 So, when the 2011 Consumer Electronics Show rolled around, it was only fitting that they chose to leverage its expertise and prowess in both categories with the first-ever social media data visualization built using HTML5 and CSS3. 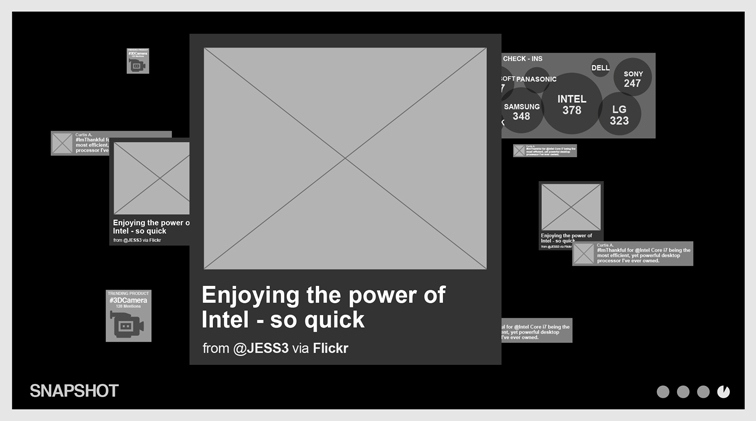 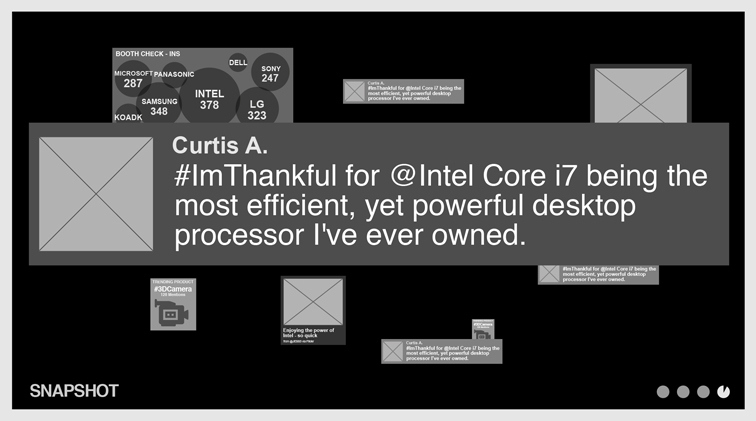 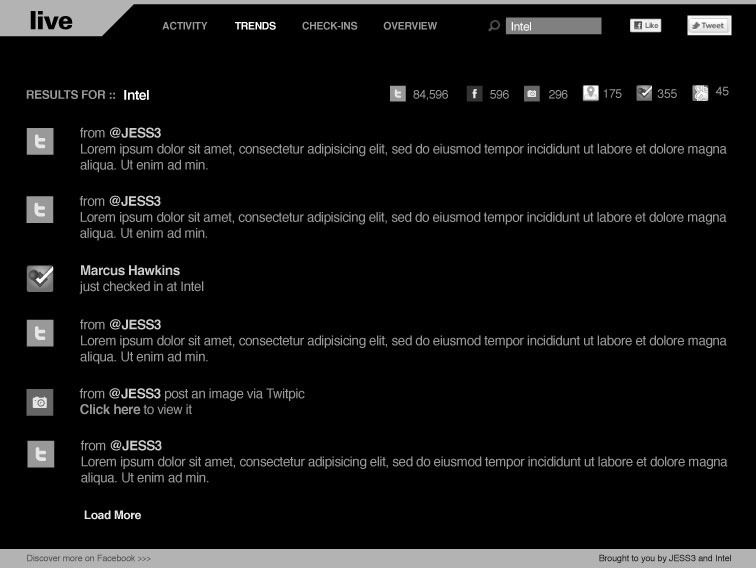 Deemed "CESLive," the installation pulled in content from Twitter, Flickr, foursquare, Gowalla and Facebook Places, all of which displayed in a "Visibly Smart" way thanks to the power of the second generation Intel® Core™ processors and JESS3's data visualization expertise. 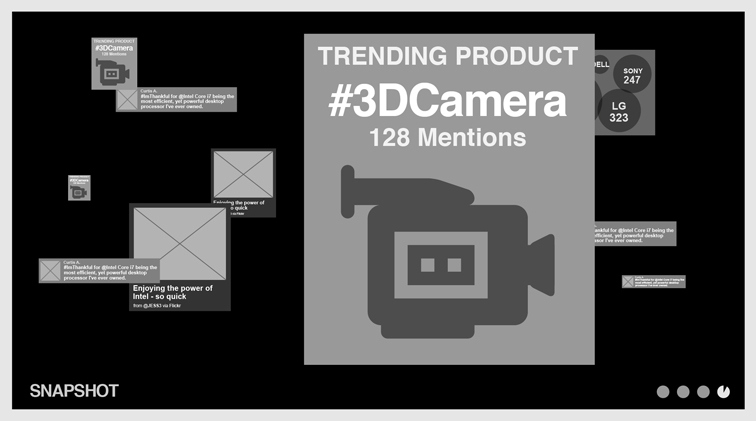 Each of the rotating views -- conversation, photos and geolocation -- allowed viewers to see what was trending when it came to the products, companies and booth locations throughout the course of the five-day event. 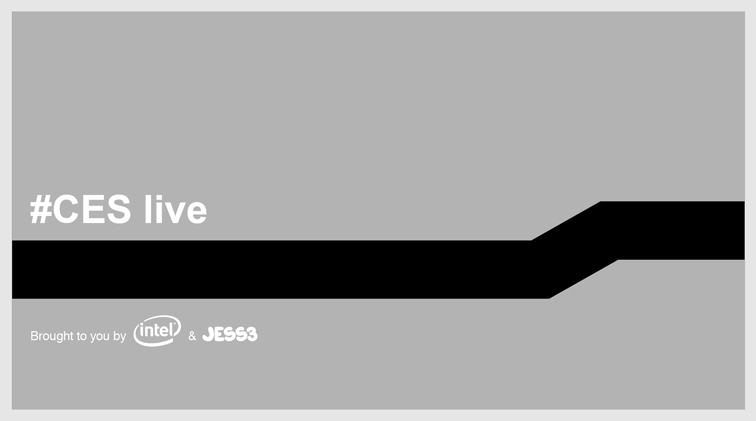 Technologically, HTML5 and CSS3 allowed the preservation of web application flexibility while still providing the presentational capabilities of a native application. 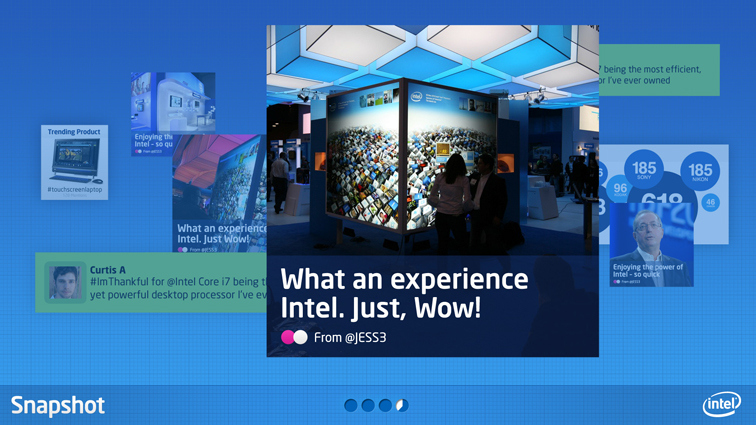 By using cutting edge WebKit builds, it was possible to use hardware-accelerated 3D transformations, which came to life in fullscreen mode on several large monitors throughout Intel's booth.